Today we service a dealership network from coast to coast. We know that car dealerships face unique challenges. 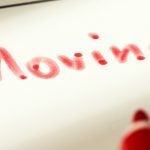 You have cyclical seasons and may need a lot of cars moved in a short period of time. Often towards the end of the year there is a flurry of activity and you don’t have time to spare to be fit into an auto transport company’s schedule. 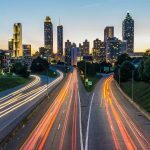 We understand these challenges, and we make the car shipping experience seamless for our dealership partners. We don’t use terminals; instead we offer door-to-door shipping, saving you valuable time and additional costs. We are proud to be a partner with SmartAuction as a premier transportation provider for their dealer network. Dealers who purchase inventory through the SmartAuction interface can choose Crestline for a smart, efficient solution. Benefits include consistent pricing, volume discounts, customized real-time alerts and 1-3 day shipping windows. Dealerships are smart to utilize the Internet to boost their inventory. Many times this involves traveling to auto auctions in bigger cities across the United States. How do you find a quality transporter to move several cars at a time without advance notice? We are skilled at auction auto shipping. Whether you’ve got a full load or just one vehicle, Crestline can be your auto auction shipping partner. Crestline Auto Transport has the ability to handle both ends of a dealer trade. We know you don’t want to keep your customers waiting, especially if the traded car has already been sold. We’ll work on your timeline, even dispatching two carriers simultaneously if necessary, to accommodate your dealership. With the rise of e-commerce, customers are buying sight unseen or online more than ever before. A happy customer is one that has their new car as soon as possible! We encourage you to share our Guide to Online Car Buying with your Internet sales staff and potential customers. 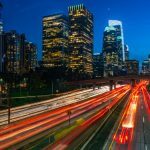 Crestline can transport vehicles from auto dealers straight to the customer, or help to facilitate the online buying process. Do you want to partner with Crestline? Become a part of the Crestline Auto Dealer Network. There are no charges and no contract commitment to become a member of the Crestline Dealer Network. We provide our website link for you to place on your company’s website. We transport new vehicles, lease vehicles, and pre-owned vehicles for car dealerships all over the country. 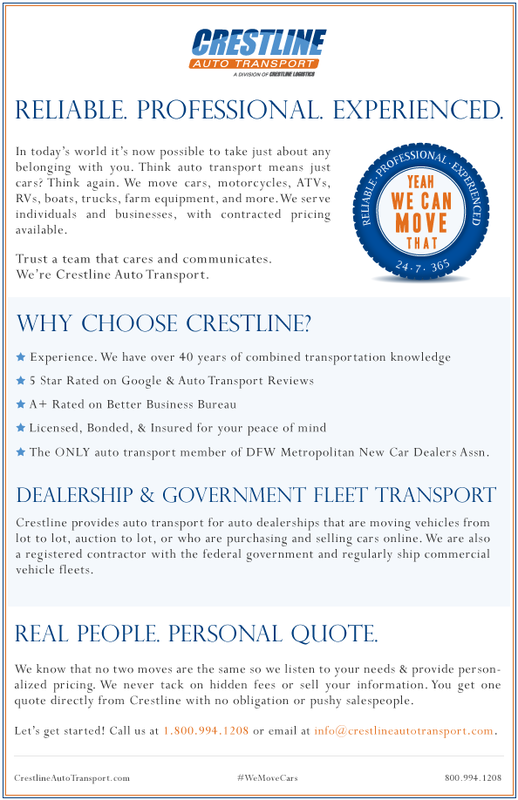 You can rely on the Crestline Auto Transport team for all your dealership car shipping needs. GET AN INSTANT, QUOTE NOW!